Too often we find ourselves featuring projects on these pages without giving much thought behind the people who made them. Nevertheless, behind the LED panels, github pages, and PCBs that make the hardware magic happen, there’s a person. And not just one person but an entire culture of people who let their conscious hours bleed late into the night over software bugs and bad solder joints. Noah Feehan is one of these veterans, and at this year’s Hackaday SuperConference, he reached out to this culture. Noah comes armed not with projects but with design tips and an infectious enthusiasm that will make you rethink how you use your time and space in the land of DIY. Armed with ten years of experience in art and engineering design, Noah delivers his best tips for fellow hackers. Spare yourself hours of confusion during future builds; kick back, and treat yourself to a few tips from a pro on keeping things together. 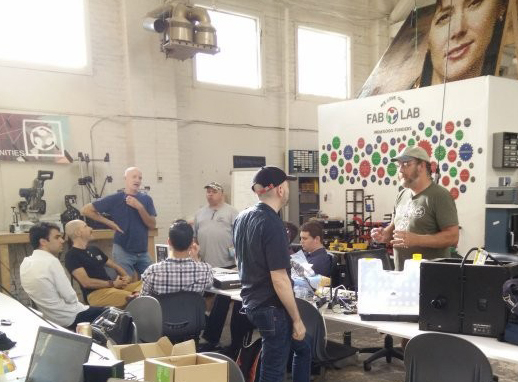 I spent some time recently at the Fab11 conference, a gathering of the people behind the Fab Labs that are springing up all over the world, where entrepreneurs, hackers and the curious can learn about making things. 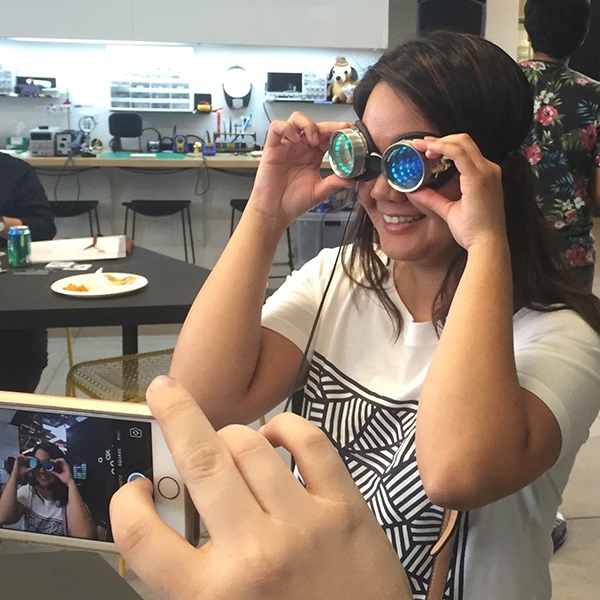 So, it was no surprise that this was a great place to pick up some tips on designing, building and hacking things. Here are a few of the lessons I picked up at this fascinating gathering of the fabbers. said [Joris Van Tubergen]. He knows something about making unusual things because he 3D printed a full-sized Elephant. To do this, he worked out how to hack the Ultimaker 2 3D printer to print to an unlimited Z height by flipping the printer upside down and moving the Z motor to lift the printer rather than the print head. With a few tweaks to the software, he could then print full-height elephant slices to speed up the process. He is absolutely right: while it is tempting to endlessly fiddle with a concept on paper, you learn more by building a prototype, even if it doesn’t work. This is a fitting video to be the first of our Hackerspace introductions. After our call for hackerspace tours yesterday, [Nikos] emailed us to let us know that their hackerspace already had a video ready. While this is more of a general video, explaining the idea behind hackerspaces, we do get to see a little bit of what is going on there. You can catch the video after the break (english subtitled), or head on over to their site to see what is going on at Hackerspace.gr in Athens Greece. Though this video is very well made, yours doesn’t have to be. We don’t care if you are filming in your basement with 2 other members, showing off a couple projects, we want to see it! If you’re making a video for us, remember that we already know what a hackerspace is, so show us what you are doing!